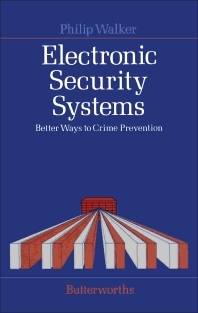 Electronic Security Systems: Better Ways to Crime Prevention teaches the reader about the application of electronics for security purposes through the use of case histories, analogies, anecdotes, and other related materials. The book is divided into three parts. Part 1 covers the concepts behind security systems – its objectives, limitations, and components; the fundamentals of space detection; detection of intruder movement indoors and outdoors; surveillance; and alarm communication and control. Part 2 discusses equipments involved in security systems such as the different types of sensors, and equipment for access control and personnel and material inspection. Part 3 tackles the system design, installation, and maintenance of security systems; the training of personnel for its operation; and the presentation of gathered data. The text is recommended for those who would like to be familiarized with the importance and usage of different security systems.